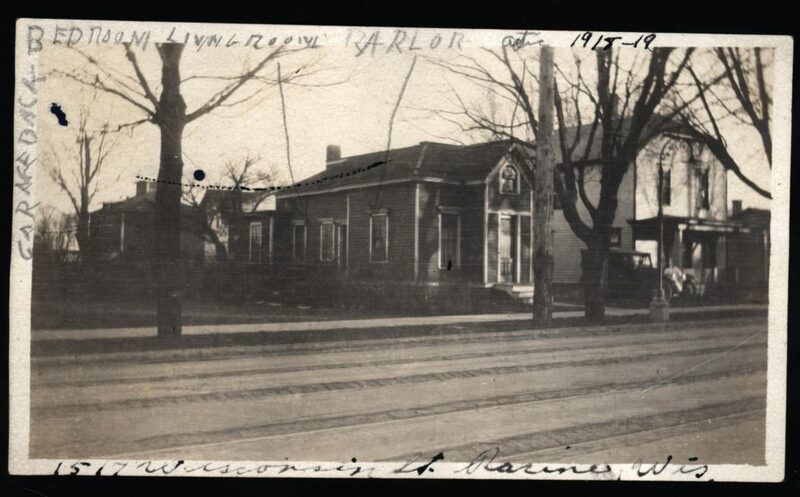 We had a debate on our Facebook group, Racine History, about a photo album by Dorothy M. Davis that mentioned a house at 1517 Wisconsin Street in Racine, but the photo in the Ebay listing did not seem to match any house in Racine. 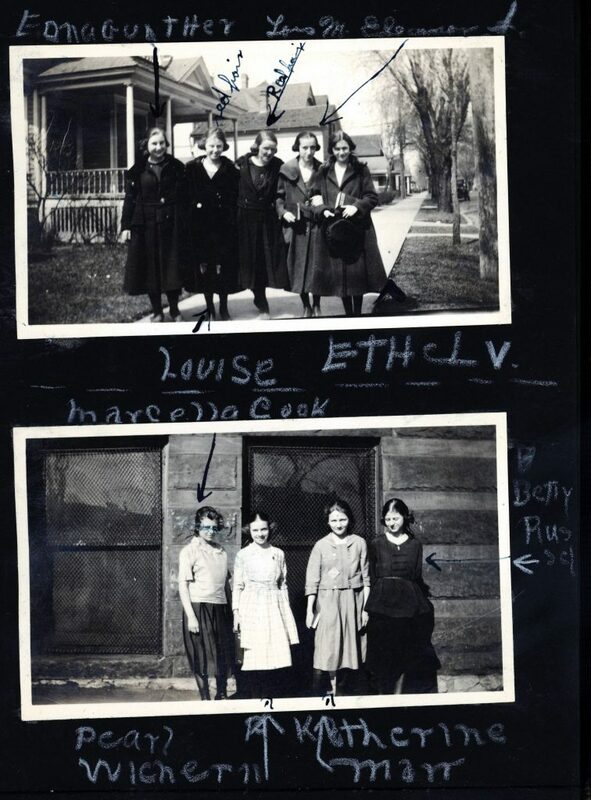 This photo album was put onto Ebay at a very high price, but after not selling, the seller started to come down in price and I eventually got the photo album down to a price I could afford. The seller said the photo album came from an estate sale, and I am a big fan of estate sales. I have scanned the photo album and have solved the mystery — many of the houses shown in the Ebay listing were not of Racine. 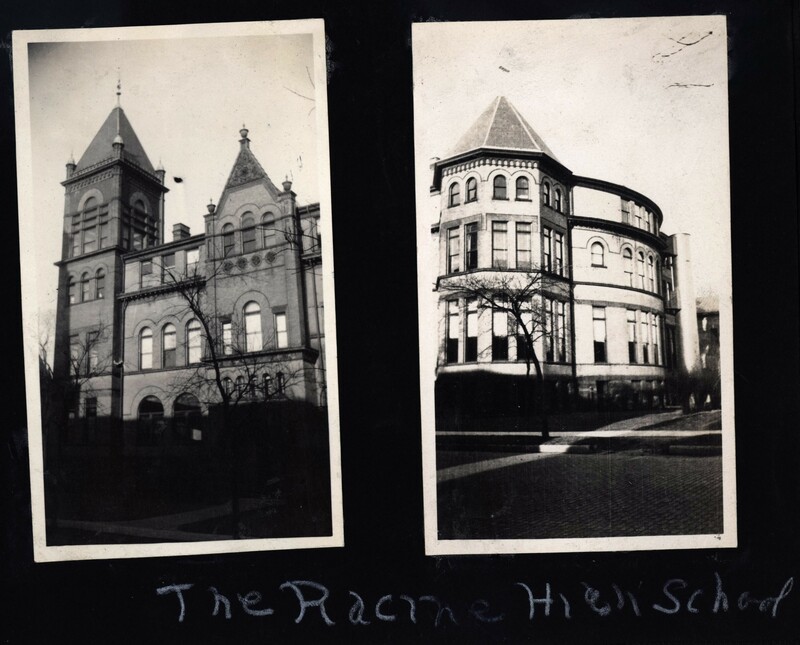 However, there are definitely photos of 1517 Wisconsin Avenue and other buildings around Racine, including the Racine High School and photos of school friends outside Racine High School. Here are outside and inside photos of 1517 Wisconsin Avenue and here is the entire photo album. 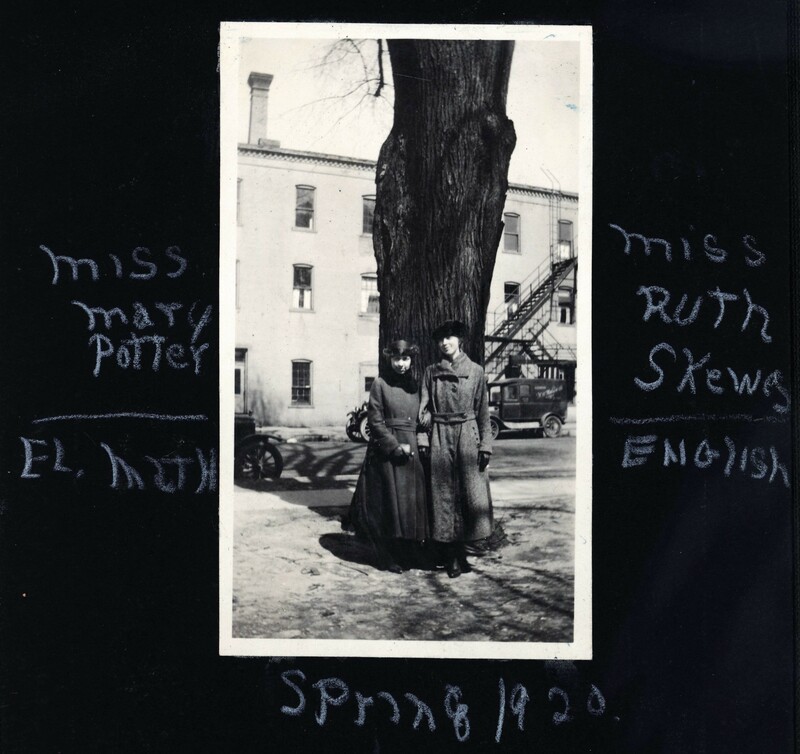 1517 Wisconsin Avenue, Racine, Wisconsin, in 1920, from the Dorothy M. Davis photo album. 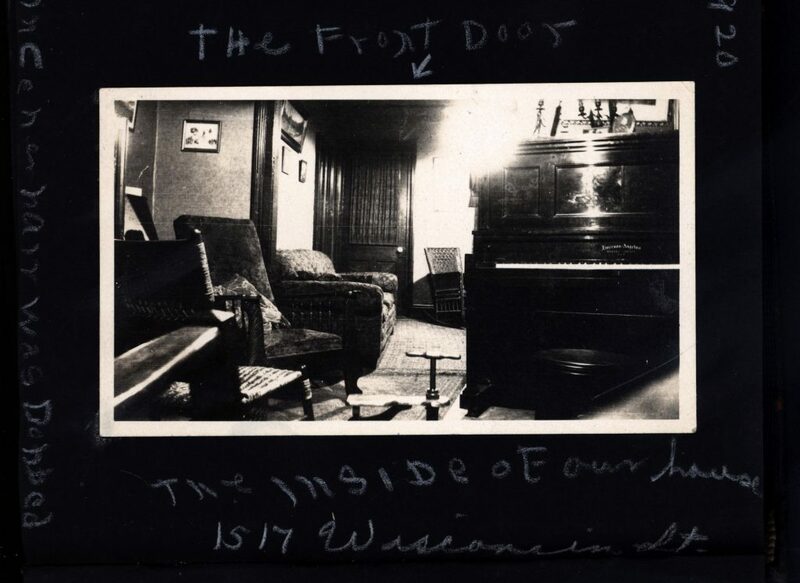 Interior of 1517 Wisconsin Avenue, Racine, Wisconsin, in 1920, from the Dorothy M. Davis photo album.